Many of us, regardless of our cultural, social, or economic level, ask ourselves where we came from, what the goal of our living is, if there is life after death, if the planet Earth will be destroyed by the carelessness of its inhabitants and by the greed of its powerful governors, but, finding no logical answers, we unfortunately cling on to the least bad one. Nowadays, in the empire of restlessness not only restricted to what is classified as the modern behavior, topics such as abortion, the lack of love of children for their parents and vice-versa, euthanasia, inequality, in the broad sense of the word, among people and peoples, homosexuality, why few possess a lot and many possess little, become uniquely important in our daily routine; to these and many other questions, THE MOST BEAUTIFUL LEGACY provides us with crystal-clear answers. For us to believe or not in what THE MOST BEAUTIFUL LEGACY unveils to us, we obviously need to analyze its contents. This is our invitation. 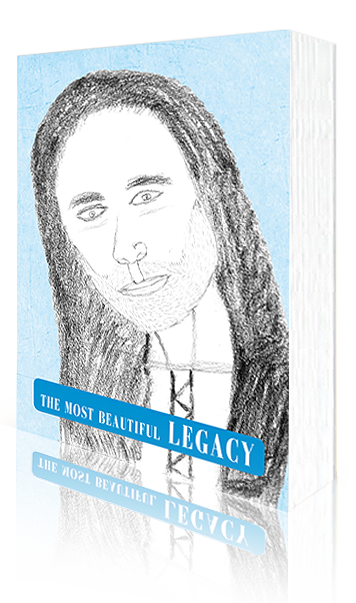 THE MOST BEAUTIFUL LEGACY, with its 1,362 pages, is divided into eighteen chapters, all available for FREE download on the page DOWNLOAD of this website.